Eileen Flanagan, author of The Wisdom to Know the Difference, wrote a blog post several years ago telling friends of book authors how they could help the author sell more books. Inspired by her post, here is my much-expanded list of over 50 ways that friends and family can help book authors to sell more books. If you have a friend who is a book author, please use these suggestions to help them out. You don’t have to do all of them. Pick several actions to help your book author friend, and do those. Then, if you have time, do a few more. If you are a book author, please share this page with your family and friends (so they can help you out). 1. Buy your friend’s book for yourself. Encourage other friends to buy the book. 2. Gift your friend’s book. Give the book to friends and family. The more, the merrier. Encourage the gift receivers to take action on the rest of this list as well. 3. Don’t put off buying the book. Don’t wait for the holidays to buy the book as a gift. First, the sooner you buy, the more confidence you’ll inspire in your friend. Second, media and other decision makers choose a book based on the momentum the book inspires. The more sales at the beginning of the book’s life, the more attention it will get from key decision makers, the media, and consumers. 4. Where should you buy the book? First choice: the indie bookstore nearest you (that will help your friend get her book into that store on a regular basis). Second choice: a chain bookstore like Barnes & Noble (if they start selling the book locally, they might buy books for more stores in the chain). Third choice: the author’s website (the author makes the most money when selling direct). Fourth choice: buy direct from the author. Fifth choice: Buy from Amazon.com (preferably from the link on the author’s website). 5. Recommend your friend’s book. If you like the book, recommend it to your friends and family. Blog about it. Tweet a mini-review or mention. Share a note on Facebook. Pin the book via its page on Amazon.com or the author’s website. 6. Recommend the book to your book group. If you belong to a reading group, recommend your friend’s book as your choice on the book to read next. If you know of other local book groups, encourage them to select it for reading. If you know book groups in other cities, encourage them as well. Be sure to let them know how to get in touch with the author to buy the book or to interview the author as part of their discussion. 7. Review your friend’s book. Review the book on Amazon.com, BN.com, Good Reads, Library Thing, and other reader social networks and book sales sites. Write an honest review giving your authentic opinion, but be sure to add a note of praise somewhere in your review. If you don’t like your friend’s book, obviously don’t share that opinion. Help another author. 8. Tell your friend what you like about the book. Provide your friend with support by telling him something you like about his book. Was it a good read? Did it move you to tears or laughter? Did you learn something new? Were you moved to take action? 9. Help your friend get speaking engagements. If your friend is comfortable speaking, recommend your friend to your Rotary Club, Jaycees, church, Friends of the Library, bookseller, garden club, school, etc. 10. Recommend your friend’s website. Link to it from your website, blog, Facebook page, etc. Tweet about it. Pin pages from the website. When your friend writes a blog post, link to it. If your friend tweets something great, retweet it. Feature a quote from your friend’s book on your website. Or tweet the quote. 11. Create a Wikipedia page for your friend. While authors can’t create their own Wikipedia page, other people can. Every book author deserves a Wikipedia page, since a published book grants the author at least a modicum of fame. On the Wikipedia page, feature a short bio, a description of his or her main book, a bibliography, a link to the author’s website. 12. Help your friend with the media. If you know of any newspaper editors or reporters, magazine editors, radio producers or hosts, TV show hosts or producers, columnists, bloggers, etc., send them a copy of the book or a note about the author. Or tell your friend about your connection, and introduce her to your contacts. 13. Pray. Prayer always helps. Pray for your friend and his book. If you’re not into prayer, ask your favorite tree to help. Or just send a good thought into the wind. 14. Ask. Ask your friend how you can help him. You may have some talent, connection, specialized knowledge, etc. that might be just the thing he needs. Or he might just need some of your time to help pack and ship some books or make a few phone calls. 15. Do a video review of the book and post it on YouTube and other video-sharing websites. Hold the book up and showcase it as you review it. It doesn’t have to be long. One or two minutes is plenty long. 16. Help your friend make some videos for the book. Every author needs a camera person, a scriptwriter, a producer, someone who can create a book trailer. Again, share on YouTube and other video sharing websites. 17. Do a Google Hangout for the book. Invite your friends to a Google Hangout where you interview your friend or where you review the book if your friend isn’t available. Once the video is recorded and posted on YouTube, share it on your social networks and your blog. 18. Recommend your friend’s book to your local librarians. Encourage them to buy the book. Let them know if the book is by a local author. Note: Libraries often order copies of books based on the inquiries they receive for the book. If the library refuses to order the book, buy a copy and donate it to the library. 19. Recommend your friend’s book to your local bookstores. Encourage them to buy the book. Let them know if the book is by a local author. Bookstores also stock books based on demand. 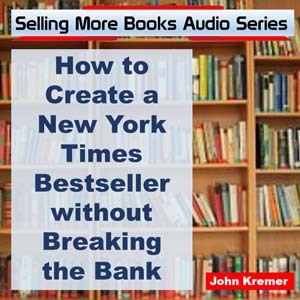 The more people who ask about a book, the more likely it is that the bookstore will stock the book. The more people who ask about a book, the more likely it is that the bookstore will stock the book. 20. Encourage bookstores to feature an author appearance. Ask your local bookstores to invite the author to do a short talk and book signing at the store. Talk to the bookstore manager or community relations specialist. Also ask your library to do the same. 21. Look for specialty retailers. 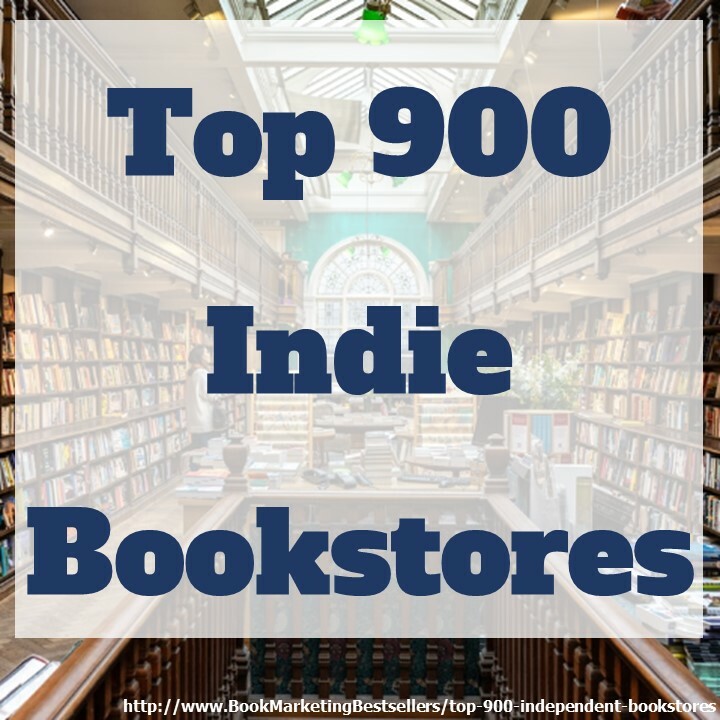 As you drive around your own hometown or a nearby larger city, keep on the lookout for specialty retailers that might be interested in selling your friend’s books. For instance, cookbooks in gourmet shops, do-it-yourself books in hardware stores, children’s books in toy stores, art or history books at museum shops. Make the contacts yourself or pass them on to your friend to follow up. 22. Look for other sales venues. If your friend’s book is about retirement, check out accountants, tax lawyers, etc. who might be interested in buying copies to give to their clients. Health books, children’s books, and cookbooks might interest doctor and dentist offices. Health clubs and gyms might be interested in exercise or diet books. Again, make the contacts yourself or pass them on to your friend to follow up. 23. Suggest catalogs, associations, and other special sales opportunities. If you receive mail order catalogs that feature books like your friend’s book, tell her about the catalog. The same with associations, groups, corporations, etc. that might be interested in buying bulk copies of your friend’s book. 24. Help your friend sell rights. If your friend’s novel would make a great movie and you have a connection to an A-list actor or producer who might be interested in making the movie, introduce your friend to your connection. The same with TV producers, audio publishers, literary agents, foreign publishers, etc. 25. Be a mentor. Provide feedback on your friend’s marketing ideas, book proposals, news releases, book covers, etc. Share your experience, if you have any, on marketing, writing, publishing, printing, design, etc. 26. Form a mastermind group. Create a group of five or more knowledgeable people who can help your friend with the writing, publishing, or marketing of his or her book. You can meet regularly (at least once a month) live, via phone calls, via Skype, or via Google Hangouts. 27. Write a testimonial. Or write an introduction to the book. Blurb it (give a great selling quote that can go on the back cover of the book). Encourage the author to put your testimonial up on their book’s sales page. 28. Social network for your friend. Tweet about your friend’s book. Retweet his tweets. Engage in a conversation with her on Facebook, LinkedIn, Pinterest, Google+, or Twitter. Pin. Repin. Post. Share. Tweet. Retweet. Plus One. Like. 29. Write comments on your friend’s blog. Interaction and activity increase any person’s visibility on the Internet and the search engines. 30. Champion your friend’s book. When you visit bookstores, make sure they have your friend’s book in stock. If they do, then put the book face out on the bookshelf. Carry the book around with you so others can see it. 31. CafePress your friend’s book. Upload your friend’s book cover to CafePress, and then order a T-shirt or two, an apron, a golf shirt, an umbrella, a kitchen magnet, a book bag. 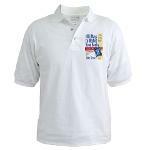 Then wear the apparel or use the item to help showcase your friend’s book. 32. Seed your friend’s book. If you can afford to buy a few extra copies, start leaving them around town. Leave a copy on the bus. Donate a copy to the library. Leave a copy in a dentist’s waiting room. Every additional book out in the world helps to generate exposure for your friend’s book while also increasing the word-of-mouth about the book. 33. Host your friend. If your friend wants to do a book tour and you live in a city she wants to visit, offer to put her up at your home. Drive her around town to her media appearances and book events. Pick her up at the airport. Take her back afterwards. Do whatever you can to make her book tour in your town the best ever. You can, of course, also help her set up a tour in your town, with media interviews and author events. 34. Sell your friend’s book at your events. 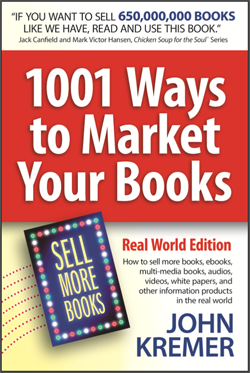 If you speak, do seminars, or display at trade shows or fairs, offer to sell your friend’s book along with your book, crafts, tapes, or whatever you sell. If you sell at craft shows or flea markets, sell his book there as well. 35. Provide reciprocal links. Set up links from your website to your friend’s book or author website. Better yet, create a special page recommending your friend’s book or speeches and then link to his or her website. 36. Add your friend’s blog to your blogroll. If you write a blog, add your friend’s blog to your blogroll. It’s a simple thing to do, but that link is added notice to the search engines that the writer’s blog is important. 37. Blog about your friend or her book. 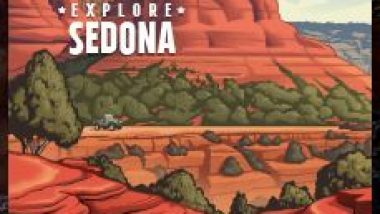 Post an article about the book, a review of the book, etc. Encourage other blogger friends to do the same. 38. Interview your friend on your blog. An author interview is one of the best ways to introduce a new book author to a wider audience — even if your blog has a small audience. Every added audience provides impetus to growing awareness of the author’s website, book, and brand. 39. Host a blog tour visit from your friend. Volunteer to be one of the host blogs if your friend is doing a blog tour. 40. Share your friend’s book in the literary social media such as GoodReads, Shelfari, and Library Thing. 41. Interview your friend. If you host an Internet radio show, podcast, teleseminar series, or Google Hangout, interview your friend. If you host an Internet radio show, podcast, teleseminar series, or Google Hangouts, interview your friend. 42. Create other products. Help your author friend generate other products to sell. Interview them for a CD or DVD product. Create a joint webinar or Google Hangout. Compile a collection of articles written by your friend and other friends. 43. Help out on Amazon.com. Amazon is the big kahuna of book sellers, especially when it comes to ebooks, so helping an author get found on there can give them a big boost. You can certainly do these things on other bookstore sites as well (nothing against copying and pasting a review, for example), but Amazon tends to have more cool features to help an author get found. Write a review on Amazon, even if the book already has quite a few and/or you’ve reviewed it elsewhere. There’s evidence that ratings and reviews factor into the Amazon algorithms that decide which books are promoted on the site (i.e. certain books are recommended to customers who bought books in similar genres). If reviewing isn’t your bag, don’t worry about writing paragraphs-long in-depth studies of the book; maybe you could just pen a few sentences with a couple of specifics about why you liked the book. Tag the book with genre-appropriate labels (i.e. thriller, steampunk, paranormal romance). Also tag their books with the names of bestselling authors like your friend. You don’t have to leave a review to do this; you just need an account at Amazon. A combination of the right tags and a good sales ranking can make a book come up when customers search for that type of story on Amazon. Note: Amazon has taken the tagging function away but they might return that function in the future. Give the book a thumbs up. This takes less than a second and probably doesn’t do much, but it may play into Amazon’s algorithms to a lesser extent than reviews/ratings. Make a Listmania List and add your favorite authors’ books to it. This creates another avenue for new readers to find books. It’s better to create lists around similar types of books (i.e. genres or sub-genres) than to do a smorgasbord, and consider titling it something description so folks will be more inclined to check it out, ie. “Fun heroic fantasy ebooks for $5 or less.” Note: Amazon has taken the Listmania feature away but, again, they might add that feature again in the future. If you have a Kindle, highlight and share some wise or fun quotations from the book. If enough people share their highlights, they’ll show up at the bottom of a book’s page. The above Amazon.com suggestions are adapted from an original blog post by Lindsay Buroker. 44. Take a photo and share. Snap the book cover. Or better yet, snap a photo of you holding the book face out. Then post it to Instagram. Pin it on Pinterest. Share it on Facebook. Create a video via Vine and share it. 45. Excerpt from the book. Feature a few quotations or excerpts from your friend’s book in a blog post or tweet or share. Feature a few quotations or excerpts from your friend’s book in a blog post or tweet or share. 46. Share bookmarks. If your friend has printed up bookmarks, postcards, flyers, or other promo material for his book, ask for some extras and share them whenever you meet someone you think would love the book. Better yet, pay for those extras. Every cent counts for a new author. 47. Bookmark your friend’s website. If you use any of the bookmarking sites (Reddit, Digg, StumbleUpon, etc., bookmark your friend’s website and/or Amazon sales page. Again, any extra links help in building awareness of a website or sales page. 48. Hug your friend. Yes, do this in real life. We all need hugs. You can also hug them via any social sharing websites. Send out hugs to all your favorite authors. 49. Share this blog post. Pin, post, tweet, plus one, and share this blog post with your friends. Encourage them to support your friend’s book as well. Ask for their help. It never hurts to ask. 50. 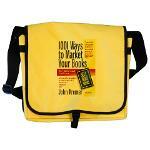 Buy your friend a copy of 1001 Ways to Market Your Books. Okay, this is a little selfish on my part, but your friend will love the gift and gain incredible value from reading the book and acting on all the ideas in the book. You can order the book at Amazon.com or via this website. 51. Join a blog hop like the Sweet Retweet Valentines Blog Hop hosted in February 2014. Google blog hops and your keyword to locate relevant upcoming blog hops. If you like the above article, you’ll also like the following post as well. Nice article John. I have a few golf tutorial books myself so know that help is always appreciated. 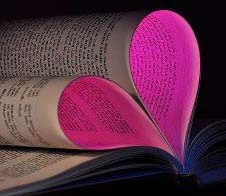 I have a good friend who writes ‘suspense romance” and she is good from what I hear. Trouble is it’s not my genre and I couldn’t read through it if I wanted to. I do plug for her whenever I can so if your readers like good suspense romance look up Jackie Williams on Amazon – the “Scarred” series. My website has nothing to do with any books but have included the link anyway. Oh my gosh. That was awesome and I hope all my friends read it twice. Thanks!! Wow great list, but there is another, often overlooked option for #4. “Where should you buy the book?” How about an web based indie book seller or an website’s amazon link on an indie book selling site like http://aalbc.com. These types of sites are often an author’s strongest or only advocates. Along a similar vein, with #43, encourage people to join Amazon;s affiliate program and they’ll be able to sell an author’s book on their website or Blog and make a little extra money too. That is so cool. Willow trees have great power.